California governor Jerry Brown has recently approved a law legalizing physician-assisted suicide. 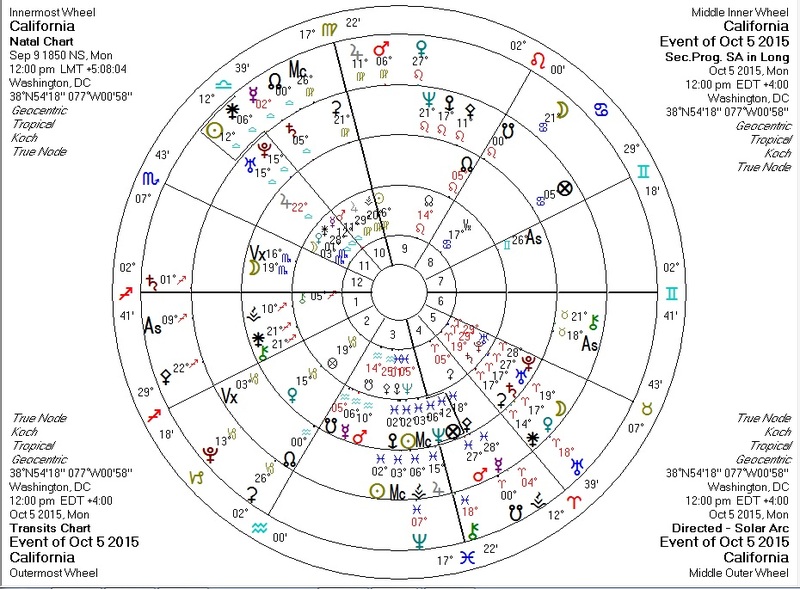 Transits for the day of the signing (time unknown) against the California chart and Brown's chart, are of interest. Transiting Pallas conjunct progressed Chiron; transiting Chiron conjunct progressed Pallas: ethics plus medicine. Transiting Chiron at California IC: medicine plus death. 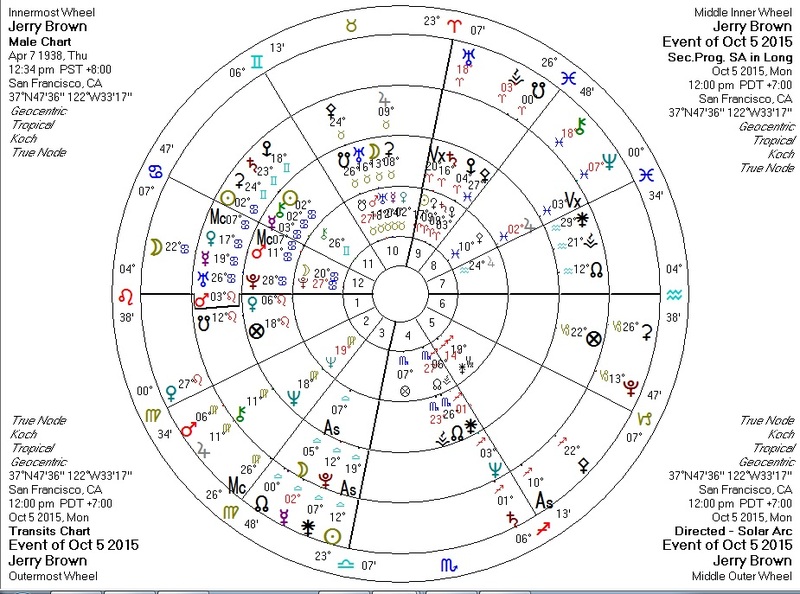 Transiting Pluto conjunct progressed Venus: destruction of value (death). Transiting Pluto sextile Brown Pallas and quintile progressed Pallas: the "ethical crisis" transit. At least these two aspects aren't peaking at the same time, or we'd likely be seeing Brown doing something more spectacular. "Spectacular" in politics usually is not a good thing.